What you do does not always define who you are, Chris Miranda stated. Miranda was diagnosed with Guillain Barre syndrome, a condition where the muscles are rapidly weakened by the body’s immune system. “[Do I miss] what I was? No. Next question. It’s quite simple. Who are you? … What I was is what I still am. I’m a father, son, I’m a grandson, I’m a husband, pretty damn good one… that’s what I was before I got sick and I still am those same things,” he said. 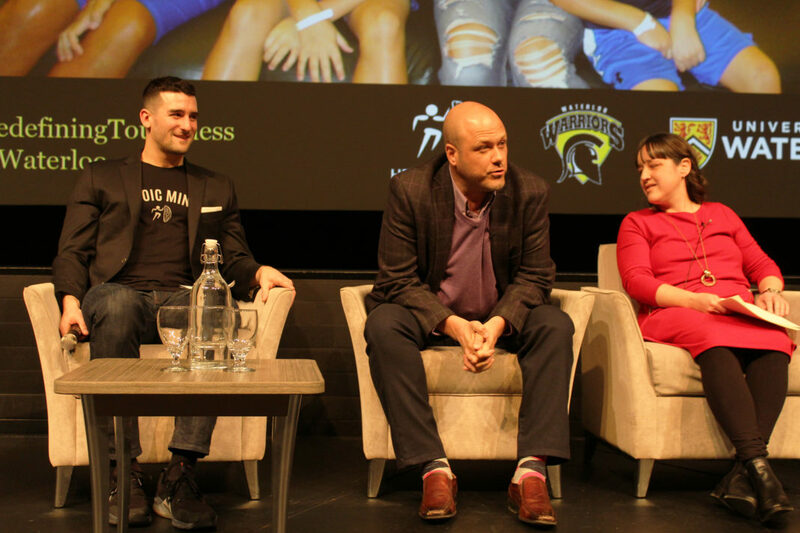 Ben Fanelli, former defenceman for the Kitchener Rangers and current host of the podcast Heroic Minds brought his podcast to the stage on Mar. 20 in front of a packed Humanities Theatre. Fanelli invited guests from his podcast to a panel that explored resiliency in the face of adversity. Along with Miranda, guests included Amber Shewfelt, a UW grad student with cystic fibrosis; Nicole Robertson, professional swimmer and piano teacher at Laurier University; Nik Knezic, UW engineering graduate and two-time cancer survivor; and Greg Westlake, Team Canada Sledge Hockey Captain and a survivor of the American prison system. The conference began as an idea stemming from the podcast. Fanelli hoped to give back to the community, and found that the conference would be a good medium to spread his message of resiliency. I think there is value in having many different types of people. “All those guests that have been through incredible things, they are all the exact same as you and I and the next person and we all have different sets of skills,” he said.